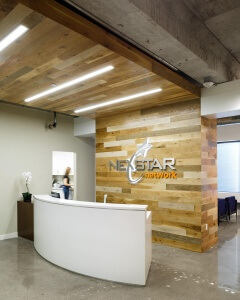 Mohagen Hansen Architecture | Interiors provided programming, architectural, and interior design services for the corporate office relocation of the Nexstar Network offices and call center. 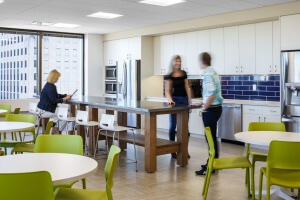 The client sought an upscale, simplistic design solution that would provide a unique yet comfortable environment for their staff while attracting new clients and employees. 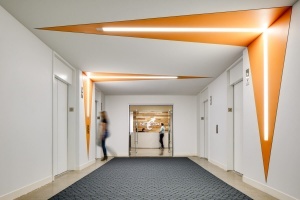 The space, which is located in the U.S. Bank Center in St. Paul, includes a prominent entry off of the elevator with an impressive reception and waiting area. 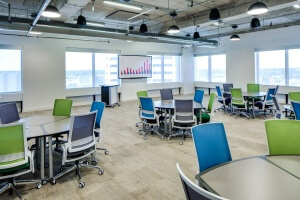 Also included was the design of two training centers, a meeting room, break area, and office space.